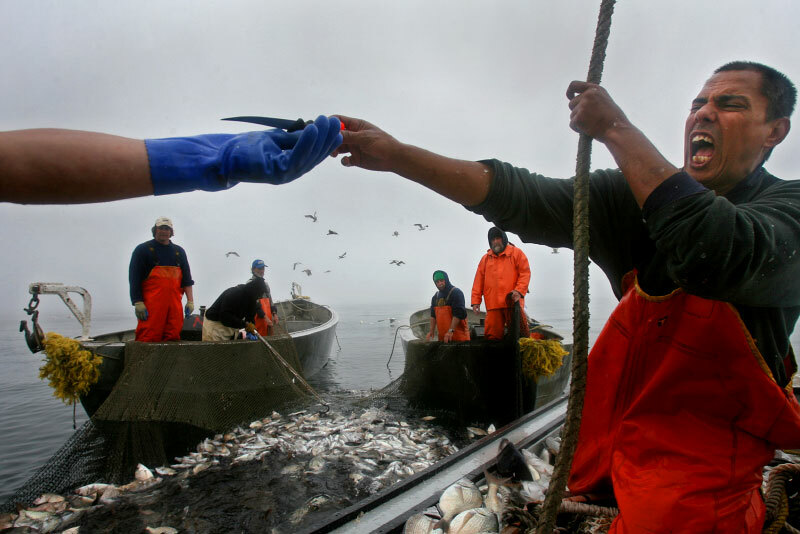 Crewman Jimmy Coite, waist-deep in fish, struggles to hand off a knife to the captain. Fishermen will come from as far as South Carolina to participate in seasonal trapping of fish. Fish trapping has been a way of life that has existed for generations in New England.